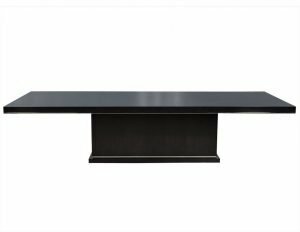 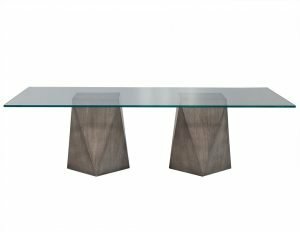 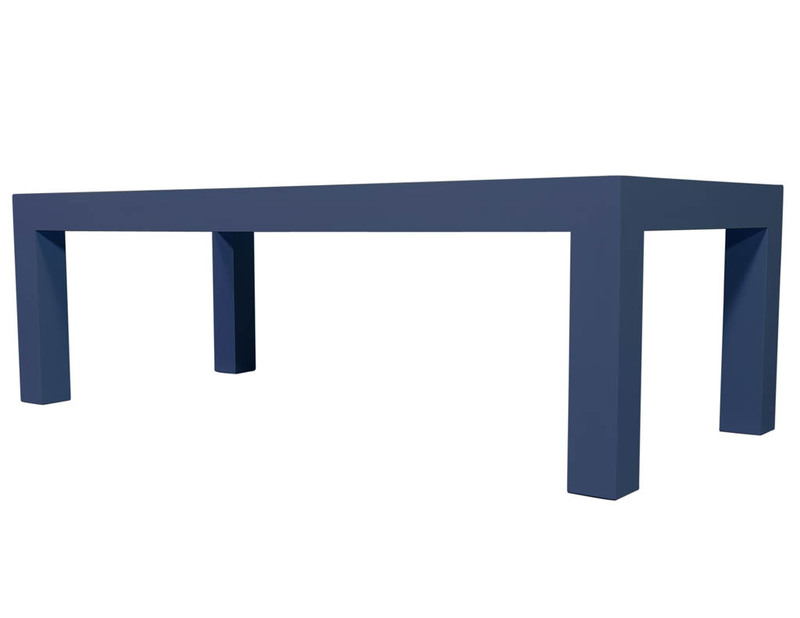 This modern, dining table is a Carrocel Custom piece. 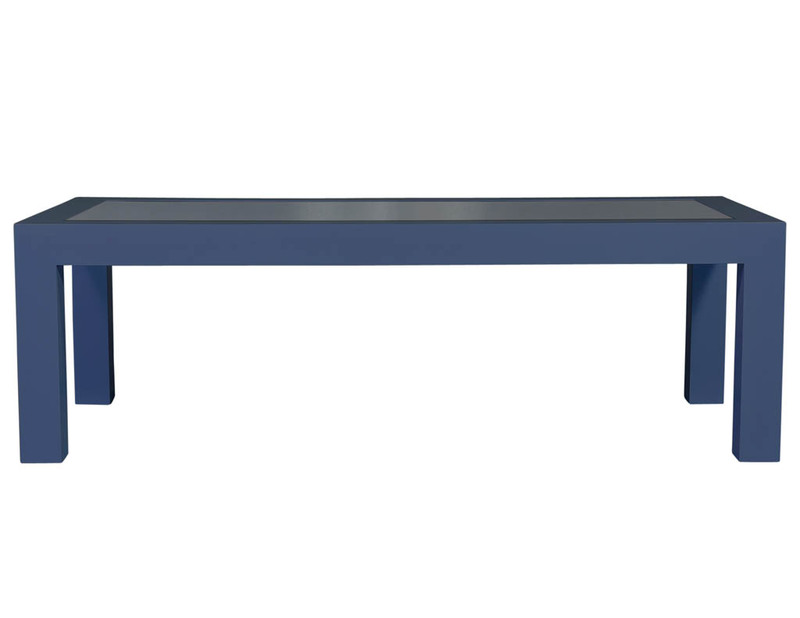 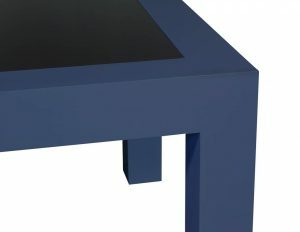 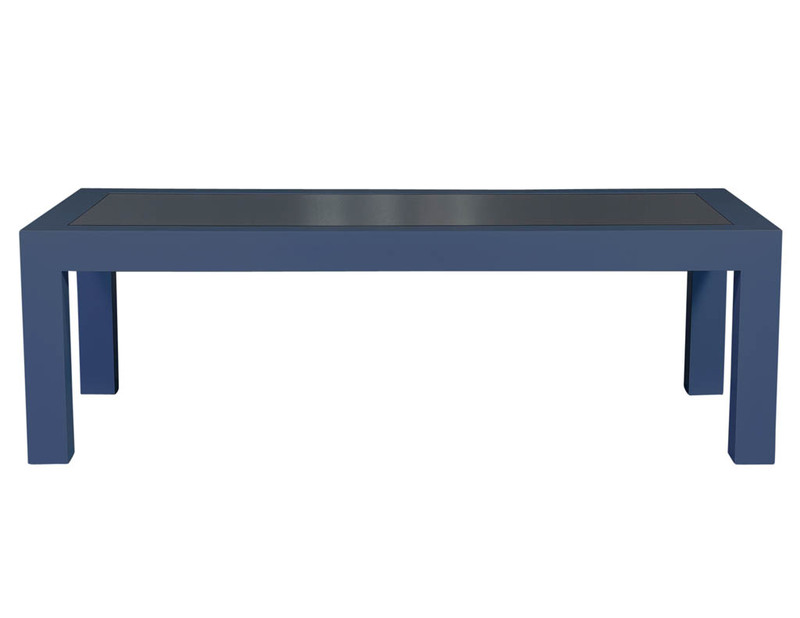 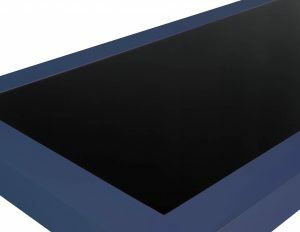 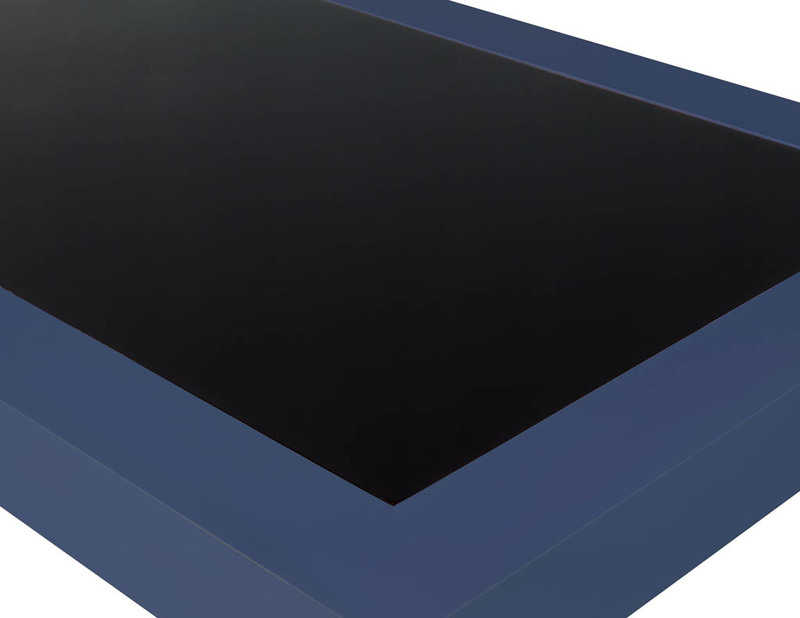 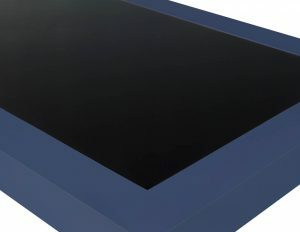 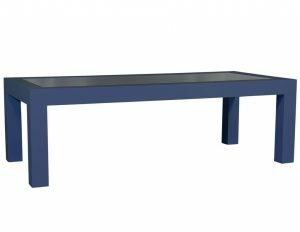 It is composed of solid wood finished in rich indigo with an inlaid dark glass top surface. Sitting atop large square legs made the same size as the wood on all four sides of the tabletop, this piece is perfect for a cottage style home.